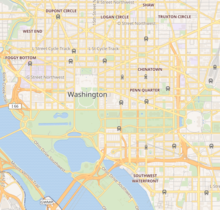 Show map of Central Washington, D.C.
Eighth and F Streets, NW, Washington, D.C.
An art museum or art gallery is a building or space for the display of art, usually from the museum's own collection. It might be in public or private ownership and may be accessible to all or have restrictions in place. Although primarily concerned with visual art, art galleries are often used as a venue for other cultural exchanges and artistic activities, such as performance arts, music concerts, or poetry readings. Art museums also frequently host themed temporary exhibitions which often include items on loan from other collections. Washington, D.C., formally the District of Columbia and commonly referred to as Washington or D.C., is the capital of the United States. Founded after the American Revolution as the seat of government of the newly independent country, Washington was named after George Washington, first President of the United States and Founding Father. As the seat of the United States federal government and several international organizations, Washington is an important world political capital. The city is also one of the most visited cities in the world, with more than 20 million tourists annually. The Smithsonian Institution, founded on August 10, 1846 "for the increase and diffusion of knowledge," is a group of museums and research centers administered by the Government of the United States. The institution is named after its founding donor, British scientist James Smithson. Originally organized as the "United States National Museum," that name ceased to exist as an administrative entity in 1967. Charles Willson Peale was an American painter, soldier, scientist, inventor, politician and naturalist. He is best remembered for his portrait paintings of leading figures of the American Revolution, and for establishing one of the first museums in the United States. The National Portrait Gallery (NPG) is an art gallery in London housing a collection of portraits of historically important and famous British people. It was the first portrait gallery in the world when it opened in 1856. The gallery moved in 1896 to its current site at St Martin's Place, off Trafalgar Square, and adjoining the National Gallery. It has been expanded twice since then. The National Portrait Gallery also has regional outposts at Beningbrough Hall in Yorkshire and Montacute House in Somerset. It is unconnected to the Scottish National Portrait Gallery in Edinburgh, with which its remit overlaps. The gallery is a non-departmental public body sponsored by the Department for Culture, Media and Sport. The American Federation of Arts (AFA) is a nonprofit organization that creates art exhibitions for presentation in museums around the world, publishes exhibition catalogues, and develops education programs. The organization’s founding in 1909 was endorsed by Theodore Roosevelt and spearheaded by Secretary of State Elihu Root and eminent art patrons and artists of the day. The AFA’s mission is to enrich the public’s experience and understanding of the visual arts, and this is accomplished through its exhibitions, catalogues, and public programs. To date, the AFA has organized or circulated approximately 3,000 exhibitions that have been viewed by more than 10 million people in museums in every state, as well as in Canada, Latin America, Europe, Asia, and Africa. Herbert Lee Pratt was an American businessman and a leading figure in the United States oil industry. In 1923, he became head of Standard Oil; his father Charles Pratt was a founder of Astral Oil Works, which later became part of Standard Oil. He lived and worked in New York City, as well as having a country estate, "The Braes" in Glen Cove, Long Island, and a hunting preserve and estate, "Good Hope Plantation" in Ridgeland, South Carolina. He was also an art collector and philanthropist. 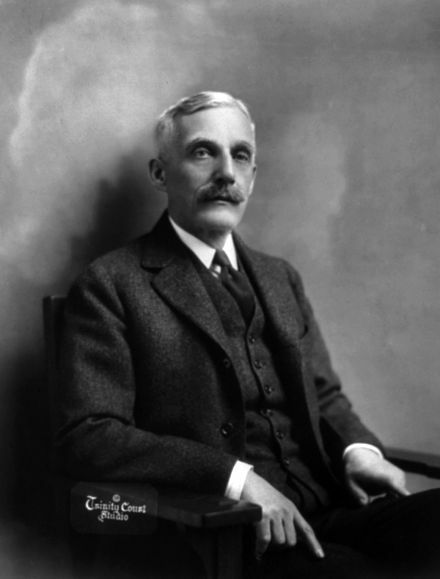 William Henry Crocker I was the president of Crocker National Bank and a prominent member of the Republican Party. Andrew W. Mellon, whose art collection was one of the foundations of the National Portrait Gallery collection. The National Gallery of Art, and its attached Sculpture Garden, is a national art museum in Washington, D.C., located on the National Mall, between 3rd and 9th Streets, at Constitution Avenue NW. Open to the public and free of charge, the museum was privately established in 1937 for the American people by a joint resolution of the United States Congress. Andrew W. Mellon donated a substantial art collection and funds for construction. The core collection includes major works of art donated by Paul Mellon, Ailsa Mellon Bruce, Lessing J. Rosenwald, Samuel Henry Kress, Rush Harrison Kress, Peter Arrell Browne Widener, Joseph E. Widener, and Chester Dale. The Gallery's collection of paintings, drawings, prints, photographs, sculpture, medals, and decorative arts traces the development of Western Art from the Middle Ages to the present, including the only painting by Leonardo da Vinci in the Americas and the largest mobile created by Alexander Calder. The unfinished Gilbert Stuart portrait of George Washington, one of two portraits at the center of the "Stuarts controversy." The "cracked-plate" portrait of Abraham Lincoln, acquired by the NPG as part of the Alexander Gardner Collection. The Lansdowne portrait of George Washington. The National Portrait Gallery closed in January 2000 for a renovation of the Old Patent Office Building. Intended to take two years and cost $42 million, the renovation took seven years and cost $283 million. Inflation, delays in obtaining approval for the renovation design, the addition of a glass canopy over the open courtyard, and other issues led to increases in both time and costs. During this period, most of the NPG's collection went on tour around the United States. The Gibbs-Coolidge Set, five oil paintings on wood of the first five Presidents, by Gilbert Stuart. The set was acquired by NPG in 1979. 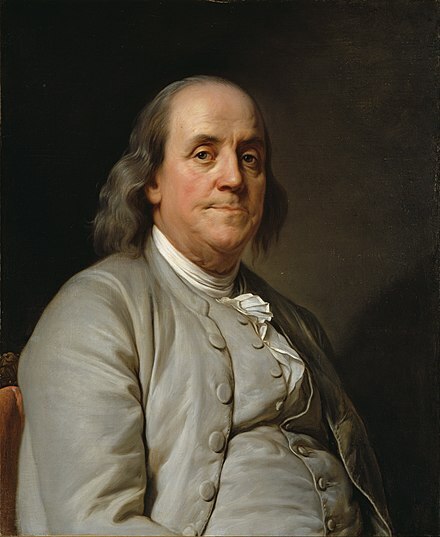 Benjamin Franklin (1785) by Joseph Duplessis, given to the NPG by the Cafritz Foundation in 1987. Frederick Douglass (1856), daguerreotype by an unknown author, acquired by the NPG in 1990. The Robert and Arlene Kogod Courtyard at the National Portrait Gallery. Gilbert Charles Stuart was an American painter from Rhode Island who is widely considered one of America's foremost portraitists. His best known work is the unfinished portrait of George Washington that is sometimes referred to as The Athenaeum, begun in 1796. Stuart retained the portrait and used it to paint 130 copies which he sold for $100 each. The image of George Washington featured in the painting has appeared on the United States one-dollar bill for more than a century and on various U.S. postage stamps of the 19th century and early 20th century. 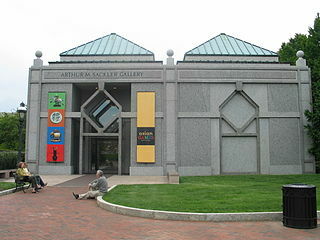 The Arthur M. Sackler Gallery is an art museum of the Smithsonian Institution in Washington, D.C. focusing on Asian art. The Sackler Gallery and the Freer Gallery of Art together form the Smithsonian's national museums of Asian art in the United States. The Freer and Sackler galleries house the largest Asian art research library in the country. David Michael Wojnarowicz was an American painter, photographer, writer, filmmaker, performance artist, songwriter/recording artist and AIDS activist prominent in the New York City art world. The Anacostia Community Museum is a community museum in the Anacostia neighborhood of Washington, D.C. in the United States. It is one of twenty museums under the umbrella of the Smithsonian Institution and was the first federally funded community museum in the United States. The museum, founded in 1967, was created with the intention to bring aspects of the Smithsonian museums, located on the National Mall, to the Anacostia neighborhood, with the hope that community members from the neighborhood would visit the main Smithsonian museums. It became federally funded in 1970 and focuses on the community in and around Anacostia in its exhibitions. This museum also houses a library. The National Museum of Natural History is a natural history museum administered by the Smithsonian Institution, located on the National Mall in Washington, D.C., United States. It has free admission and is open 364 days a year. In 2016, with 7.1 million visitors, it was the fourth most visited museum in the world and the most visited natural-history museum in the world. Opened in 1910, the museum on the National Mall was one of the first Smithsonian buildings constructed exclusively to hold the national collections and research facilities. The main building has an overall area of 1,500,000 square feet (140,000 m2) with 325,000 square feet (30,200 m2) of exhibition and public space and houses over 1,000 employees. Cooper Hewitt, Smithsonian Design Museum is a design museum located in the Upper East Side's Museum Mile in Manhattan, New York City. It is one of nineteen museums that fall under the wing of the Smithsonian Institution and is one of three Smithsonian facilities located in New York City, the other two being the George Gustav Heye Center in Bowling Green and the Archives of American Art New York Research Center in the Flatiron District. It is the only museum in the United States devoted to historical and contemporary design. Its collections and exhibitions explore approximately 240 years of design aesthetic and creativity. The Smithsonian American Art Museum is a museum in Washington, D.C., part of the Smithsonian Institution. Together with its branch museum, the Renwick Gallery, SAAM holds one of the world's largest and most inclusive collections of art, from the colonial period to the present, made in the United States. The museum has more than 7,000 artists represented in the collection. Most exhibitions take place in the museum's main building, the old Patent Office Building, while craft-focused exhibitions are shown in the Renwick Gallery. The National Museum of African Art is the Smithsonian Institution's African art museum, located on the National Mall of the United States capital. Its collections include 9,000 works of traditional and contemporary African art from both Sub-Saharan and Arab North Africa, 300,000 photographs, and 50,000 library volumes. It was the first institution dedicated to African art in the United States, and remains the largest collection. The Washington Post called the museum a mainstay in the international art world and the main venue for contemporary African art in the United States. Robert P. Kogod is a business executive and philanthropist. Along with his brother-in-law, Robert H. Smith, Kogod led the Charles E. Smith Companies, the real estate company that developed much of the Crystal City neighborhood, just south of Washington, D.C. The Renwick Gallery is a branch of the Smithsonian American Art Museum, located in Washington, D.C., and focuses on American craft and decorative arts from the 19th to the 21st century. It is housed in a National Historic Landmark building that was begun in 1859 on Pennsylvania Avenue and originally housed the Corcoran Gallery of Art. When it was built in 1859, it was known as "the American Louvre". The National Museum of African American History and Culture (NMAAHC) is a Smithsonian Institution museum established in December 2003. The museum's building is on the National Mall in Washington, D.C. It has close to 37,000 objects in its collection related to such subjects as community, family, the visual and performing arts, religion, civil rights, slavery, and segregation. The museum has about 85,000 square feet of exhibition space with 12 exhibitions, 13 different interactives with 17 stations, and 183 videos housed on five floors. The historic Old Patent Office Building in Washington, D.C. covers an entire city block defined by F and G Streets and 7th and 9th Streets NW in Chinatown. It served as one of the earliest United States Patent Office buildings. Martin E. Sullivan was a museum director, and served as Director of the United States National Portrait Gallery, administered by the Smithsonian Institution, from 2008-12. Marc Pachter is an American museum director who headed up the United States National Portrait Gallery from 2000 until 2007 and was the acting director of the National Museum of American History between 2011 and 2012, both at the Smithsonian. Edith T. Martin is an American artist and museum professional. Hattie Elizabeth Burdette (1872–1955) was an American painter known for her portraits, especially miniatures. ↑ Images are paintings, drawings, or similar media, unless otherwise noted. 1 2 3 4 5 6 7 8 Thompson, Bob. "Who Gets Into the National Portrait Gallery, and Why?" Washington Post. June 13, 1999. 1 2 3 Schultz, p. 272. 1 2 Richard, Paul. "A New Face for the Stuffy Old Portrait." Washington Post. April 3, 1977. ↑ Richard, Paul. "A National Family Album." Washington Post. October 6, 1968; Martin, Judith. "'Semi, Demi-Heroes' Open New Gallery." Washington Post. October 7, 1968. ↑ "Avery C. Faulkner." Wilmington Star-News. February 25, 2007. 1 2 Richard, Paul. "American Masterwork: Portrait Gallery's New 'Cornerstone' A Copley Self-Portrait for the Portrait Gallery." Washington Post. January 16, 1978. ↑ Permanent Collection Illustrated Checklist, p. 7. ↑ Glueck, Grace. "Athenaeum's Dilemma." New York Times. April 6, 1979; "Free George and Martha." Washington Post. April 9, 1979. ↑ Richard, Paul. "Marvin Sadik: 'I'm Resolute'." Washington Post. April 11, 1979. ↑ Cowen, Peter. "For $5m, Portraits Stay Here." Boston Globe. April 12, 1979. ↑ Knight, Michael. "Boston City Officials Go to Court to Keep 2 Washington Portraits." New York Times. April 11, 1979. ↑ Richard, Paul. "Bound in Boston." Washington Post. April 13, 1979. 1 2 3 "Bostonians Are Falling Short in Drive to Keep Art." Associated Press. November 25, 1979. ↑ "Portrait Fund Drive Falls $4 Million Short." Washington Post. January 18, 1980. ↑ "Museums in Capital and Boston to Share Washington Portraits." New York Times. February 8, 1980; "Museums Come to Terms on Stuarts." Washington Post. February 23, 1980. 1 2 "Pact on Stuarts Approved By Massachusetts Official." Associated Press. March 22, 1980; "Stuart Portraits Plan Wins Tentative Approval." Washington Post. March 24, 1980. ↑ Rosenfeld, Megan. "New Faces in Town." Washington Post. June 24, 1980; Radcliffe, Donnie. "Back In the Picture." Washington Post. July 4, 1980. 1 2 3 "Sadik, Director, Quits National Portrait Gallery". New York Times . June 1, 1981. Retrieved February 5, 2013. 1 2 Glueck, Grace. "5 Stuarts Go to U.S. Gallery." Washington Post. April 10, 1979. 1 2 Richard, Paul. "Lodge Donates Two Portraits." Washington Post. December 15, 1979. 1 2 Kernan, Michael. "GEE!! It's Christy." Washington Post. January 11, 1980; "The Loving Eye That Created the Christy Girl." Washington Post. January 11, 1980. 1 2 Ostrow, Joanne. "The Meserves' Photo Legacy." Washington Post. May 14, 1982. ↑ Trescott, Jacqueline. "The Photographer Who Went to War." Washington Post. November 7, 2010. 1 2 Richard, Paul. "Gilbert Stuart's Jefferson Acquired for $1 Million." Washington Post. September 10, 1982. 1 2 Richard, Paul. "Portrait Gallery Buys Degas." Washington Post. May 22, 1984. ↑ "Civil War Era Notes Are Stolen." Washington Post. January 1, 1985; Ringle, Ken. "FBI Probes Theft of Notes From Gallery." Washington Post. January 2, 1985; Barker, Karyn. "FBI Arrests D.C. Man in Lincoln Letter Case." Washington Post. February 9, 1985; "Man Sentenced For Stealing Notes From Civil War Era." Washington Post. April 24, 1985. ↑ "Man Gets 6 Months for Stealing Documents". Associated Press . April 24, 1985. Retrieved February 7, 2013. 1 2 Grundberg, Andy. "The Beautiful Peoples." Washington Post. June 19, 2005. 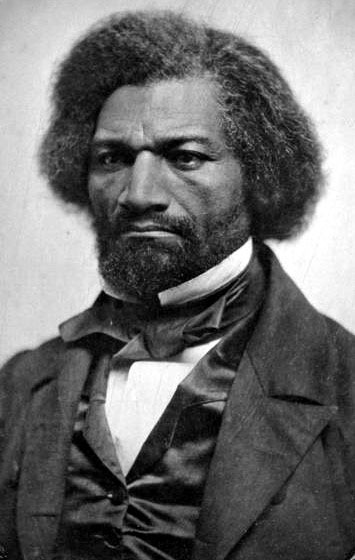 1 2 "Daguerreotype of Frederick Douglass." Washington Post. December 23, 1990. 1 2 Ringle, Ken. "John Brown, Captured For History." Washington Post. December 19, 1996. ↑ Trescott, Jacqueline. "Smithsonian Battles to Keep Prized Portrait of Washington." Washington Post. February 23, 2001. ↑ The Reynolds Foundation board had discretion to make grants in areas that presented patriotic or entrepreneurial opportunities or which supported a lifetime interest of foundation founder Donald W. Reynolds. ↑ Trescott, Jacqueline. "A Washington Bailout." Washington Post. March 14, 2001. ↑ Farhi, Paul. "Committee Sees a Lack of Money, Leadership at 8 Smithsonian Museums." Washington Post. March 21, 2007. 1 2 Argetsinger, Amy and Roberts, Roxanne. "Fit for a T: New at the Portrait Gallery." Washington Post. January 7, 2009. ↑ Gopnik, Blake. "'Hide/Seek' Finds a Frame for Showing Sexual Identity." Washington Post. November 5, 2010. 1 2 3 4 5 6 Trescott, Jacqueline. "Portrait Gallery Removes Crucifix Video From Exhibit After Complaints." Washington Post. December 1, 2010. ↑ Almost no taxpayer money was spent on the exhibit, since it was funded by private donations. ↑ Trescott, Jacqueline. "Clough Defends Removal of Video". Washington Post. January 19, 2011. ↑ Trescott, Jacqueline. "After Smithsonian Exhibit's Removal, Banned Ant Video Still Creeps Into Gallery." Washington Post. December 6, 2010. ↑ Trescott, Jacqueline. "'Hide/Seek' Sponsor Threatens to Cut Funding for Smithsonian." Washington Post. December 14, 2010; Taylor, Kate. "Foundation Says It's Ending Smithsonian Support." New York Times. December 13, 2010. ↑ Capps, Kriston (December 17, 2010). "Mapplethorpe Foundation Withdraws Support for Smithsonian Exhibitions". Washington City Paper . Retrieved February 6, 2013. ↑ Trescott, Jacqueline. "Regents Support Censorship Decision." Washington Post. February 1, 2011. ↑ Gopnik, Blake. "Portrait Capital." Washington Post. May 29, 2005. ↑ Gambino, Megan (October 25, 2011). "Last Call: Outwin Boochever Portrait Competition". Smithsonian Magazine . Retrieved February 8, 2013. ↑ "Frequently Asked Questions: National Portrait Gallery". Smithsonian Institution . Retrieved June 7, 2013. ↑ Sanford, Barbara (May 11, 2009). "Eunice Kennedy Shriver Portrait Unveiled". Smithsonian Magazine . ↑ "National Portrait Gallery's Portrait Competition". PBS Newshour . November 5, 2009. ↑ Kennicott, Philip (March 22, 2013). "Boochever Portrait Competition winners". Washington Post . ↑ Bloom, Benjamin (November 19, 2014). "Bo Gehring: Reminding Us to Slow Down". National Portrait Gallery. Retrieved March 10, 2016. ↑ Kennicott, Philip. "American Poets, On the Surface." Washington Post. November 4, 2012. 1 2 3 "Fact Sheets: National Portrait Gallery". Smithsonian Institution. February 1, 2013. Retrieved February 6, 2013. ↑ Thompson, Bob. "The Changing Face of American Portraiture." Washington Post. June 25, 2006. 1 2 3 Trescott, Jacqueline. "Museums Reopen to a Brand-New View." Washington Post. July 1, 2006. 1 2 Copeland, Libby. "The Clintons: They've Been Framed!" Washington Post. April 25, 2006. ↑ Trescott, Jacqueline. "Have Renovation, Will Travel." Washington Post. December 14, 2005. ↑ Harlan, Becky (January 13, 2017). "National Portrait Gallery Installs Photo Of President-Elect Trump". NPR.org. Retrieved January 17, 2017. ↑ Mcgraw, Meridith (January 16, 2017). "Trump Photograph Installed at the National Portrait Gallery". ABC News. Retrieved January 17, 2017. ↑ "National Portrait Gallery Annual Report" October 1, 2008 – September 30, 2009. p. 4,15,back cover. ↑ Price and Price, p. 102; Silber, p. 61; Acker, p. 14, accessed 2013-02-08. ↑ Fixico, p. 27; Bureau of Land Management, p. 25; National Park Service, p. 8. ↑ Moeller and Feldblyum, p. 100. ↑ Secretary of the Interior, 1899, p. 107. ↑ Public Buildings Commission, p. 24-27. ↑ Committee on Appopriations, p. 466. ↑ Select Subcommittee on Education, p. 159. ↑ "Sen. Maybanks Fights Plan to Raze CSC Building." Washington Post. November 17, 1953; "Architects Fight Plan to Raze CSC Building." Washington Post. February 24, 1954; "Committee Protests Razing Plan." Washington Post. December 17, 1955. ↑ "GSA Wants to Preserve Patent Bldg." Washington Post. June 3, 1956. ↑ "CSC Building to Become Art Museum." Washington Post. March 22, 1958. ↑ Sampson, Paul. "Exhibit to Tell American Art Story." Washington Post. April 2, 1958. ↑ Doolittle, Jerry. "Civil Service Dedicates Home." Washington Post. November 13, 1963. ↑ Scott, David W. "Patent Building to Become Arty." Washington Post. December 27, 1964. ↑ Hailey, Jean R. "Art Collection to Go in Old Patent Office." Washington Post. May 21, 1965. ↑ Richard, Paul. "A Major New Art Museum to Open." Washington Post..' April 28, 1968. ↑ Richard, Paul. "A National Family Album." Washington Post. October 6, 1968. ↑ Trescott, Jacqueline. "The Dilapidated State of the Nation's Attic." Washington Post. June 10, 1995. ↑ Lewis, Jo Ann. "Repairs to Close Two Art Museums." Washington Post. January 29, 1997. ↑ Trescott, Jacqueline. "Extensive Leaks In the Nation's Attic." Washington Post. April 1, 2000. ↑ Forgey, Benjamin. "The Old Patent Office, Pending Renewal." Washington Post. January 1, 2000. ↑ Trescott, Jacqueline. "Smithsonian Art Museum Gets Second $10 Million." Washington Post. March 7, 2001. 1 2 3 Trescott, Jacqueline. "Old Patent Office Gets A $25 Million Boost." Washington Post. November 16, 2004. ↑ Trescott, Jacqueline. "Smithsonian Projects Face Delays." Washington Post. June 23, 2001. ↑ Forgey, Benjamin. "Naked Splendor." Washington Post. July 20, 2003. ↑ Zach Mortice (December 21, 2007). "Museum Courtyard Glides Through the Ages". AIArchitect. ; Epstein, Edward (2006-07-02). "Openings THU 13 Cesar Chavez Student". The San Francisco Chronicle. ; Trescott, Jacqueline. "Way Clear for British Architect's Glass Act." Washington Post. March 16, 2004. ↑ Trescott, Jacqueline. "Patent Office Roof: Pending." Washington Post. April 25, 2005. ↑ Forgey, Benjamin. "Panel Rejects Smithsonian Plan For Patent Office." Washington Post. June 3, 2005. ↑ Trescott, Jacqueline. "Old Patent Office Options Clearly Still Favor Glass." Washington Post. August 5, 2005. ↑ Forgey, Benjamin. "A Roof That's Patently the Best Option." Washington Post. September 9, 2005. ↑ Trescott, Jacqueline. "Smithsonian Scores a $45 Million Gift." Washington Post. October 12, 2005. ↑ Trescott, Jacqueline. "Smithsonian Thanks Its Big Donor By Name." Washington Post. October 13, 2005. ↑ "'Looking History in the Eye' at Portrait Gallery". National Public Radio. July 13, 2006. Retrieved September 18, 2010. ↑ Philip Kennicott (November 19, 2007). "Seeing the Light at Last". Washington Post. Retrieved January 15, 2016. ↑ Trescott, Jacqueline. "Smithsonian Attendance Down." Washington Post. September 20, 2006. ↑ Grimaldi, James V. "GAO Faults Smithsonian Upkeep and Security." Washington Post. September 29, 2007. ↑ Trescott, Jacqueline. "Some People Would Die to Wind Up at This Museum." Washington Post. May 23, 2008. ↑ "Portrait Gallery Chief Alan Fern to Retire". Washingtonpost.com. 2000-02-04. Retrieved 2010-12-03. ↑ Jacqueline Trescott (December 12, 2006). "Portrait Gallery Director to Retire in '07". The Washington Post. ↑ Trescott, Jacqueline (May 7, 2012). "Martin Sullivan Steps Down as Portrait Gallery Director". Washington Post . Retrieved February 5, 2013. ↑ Boyle, Katherine (February 5, 2013). "National Portrait Gallery Names Kim Sajet as Its New Director". Washington Post . Retrieved February 5, 2013. Acker, William B. Memorandum History of the Department of the Interior. Washington, D.C.: U.S. Department of the Interior, 1913. Alexander, Edward P. Museum Masters: Their Museums and Their Influence. Walnut Creek, Calif.: AltaMira Press, 1995. Bureau of Land Management. Landmarks in Public Land Management. Department of the Interior. Washington, D.C.: U.S. Government Printing Office, 1962. Committee on Appropriations. First Supplemental Civil Functions Appropriation Bill for 1941. Hearings Before the Subcommittee of the Committee on Appopriations. Committee on Appropriations. U.S. House of Representatives. 76th Cong., 3d sess. Washington, D.C.: Government Printing Office, 1940. Dale, Alzina Stone. Mystery Reader's Walking Guide, Washington, D.C. Lincoln, Neb. : IUniverse, 1998. Fixico, Donald Lee. Bureau of Indian Affairs. Santa Barbara, Calif.: Greenwood, 2012. Moeller, Gerard Martin and Feldblyum, Boris. AIA Guide to the Architecture of Washington, D.C. Baltimore, Md. : Johns Hopkins University Press, 2012. National Park Service. Report of the Director of the National Park Service to the Secretary of the Interior for the Fiscal Year Ended June 30, 1924. Washington, D.C.: Government Printing Office, 1924. Oehser, Paul H. The Smithsonian Institution. New York: Praeger Publishers, 1970. Permanent Collection Illustrated Checklist. Washington, D.C.: Smithsonian Institution Press, 1980. Price, Tom and Price, Susan Crites. Frommer's Irreverent Guide to Washington, D.C. Hoboken, N.J.: Wiley Publishing, 2007. Public Buildings Commission. Annual Report of the Public Buildings Commission for the Calendar Year 1932. Washington, D.C.: Government Printing Office, 1933. Ross, Betty. A Museum Guide to Washington, D.C. Washington, D.C.: Americana Press, 1986. Sandler, Corey. Washington, D.C., Williamsburg, Busch Gardens, Richmond and Other Area Attractions. Lincolnwood, Ill.: Verulam, 2000. Schultz, Patricia. 1,000 Places to See in the United States & Canada Before You Die. New York: Workman Publishing, 2011. Secretary of the Interior. Report of the Secretary of the Interior for the Fiscal Year Ended June 30, 1899. Department of the Interior. Washington, D.C.: Government Printing Office, 1899. Select Subcommittee on Education. Aid to Fine Arts: Hearing Before the Select Subcommittee on Education of the Committee on Education and Labor, House of Representatives, Eighty-Seventh Congress, First Session, on H.R. 4172, H.R. 4174, and Related Bills to Aid the Fine Arts in the United States. Hearing Held in Washington, D.C., May 15, 1961. Select Subcommittee on Education. Committee on Education and Labor. U.S. House of Representatives. 87th Cong., 1st sess. Washington, D.C.: U.S. Government Printing Office, 1961. Silber, Nina. Landmarks of the Civil War. New York: Oxford University Press, 2003. Smith, Carol. "Portraying the Black Atlantic: Americanisation and the National Museum." In Issues in Americanisation and Culture. Jude Davies, Neil Campbell, and George McKay, eds. Edinburgh: Edinburgh University Press, 2004. Wikimedia Commons has media related to National Portrait Gallery (United States) . Negotiating American Identity in the National Portrait Gallery.